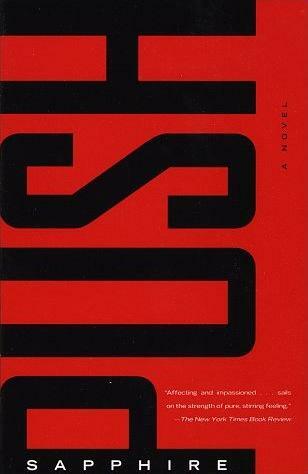 Congratulations to National Book Award Winners! Last night, the National Book Foundation revealed the recipients of the 2009 National Book Award, and we here at Vintage/Anchor are thrilled that Knopf/future Vintage author TJ Stiles took home the prize for best non-fiction! With few letters and no diaries, and with layers of legend to carve through, Stiles captures Cornelius Vanderbilt as a person and as a force who shaped the transportation revolution, all but invented unbridled American capitalism, and left his mark not only all over New York City but, for better or worse, all over our economic landscape. One of the interesting things about working as an editor at Vintage is discovering the many gems hiding on our vastly diverse backlist. Of particular interest to me is our Vintage International list, home to many of the great masters of modern Japanese literature, among others, such as Yukio Mishima, Kobo Abe, and Junichiro Tanizaki, and, of course, Haruki Murakami. 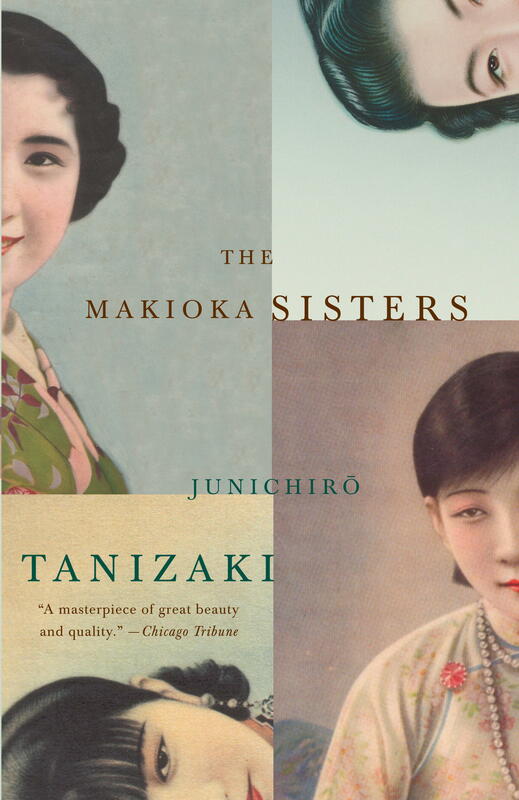 As someone with an interest in contemporary Japanese fiction — I edit Natsuo Kirino and others — I had read some of the modern Japanese masters, but certainly not all of them. It’s been an enjoyable project for me to oversee the repackaging and repromotion of many of these classic novels. Click here to listen to entire piece. 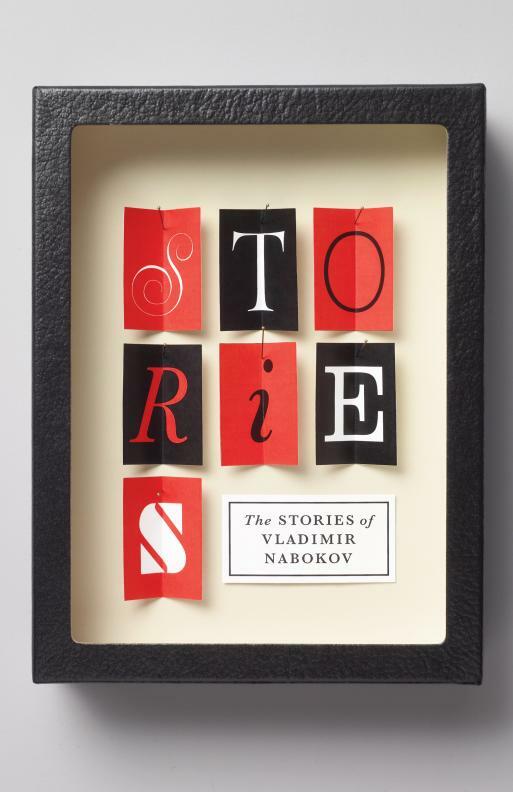 Today’s Design Observer highlights John Gall’s recent project — a redesign of our Nabokov backlist. “Every so often, a dream project lands on your desk. 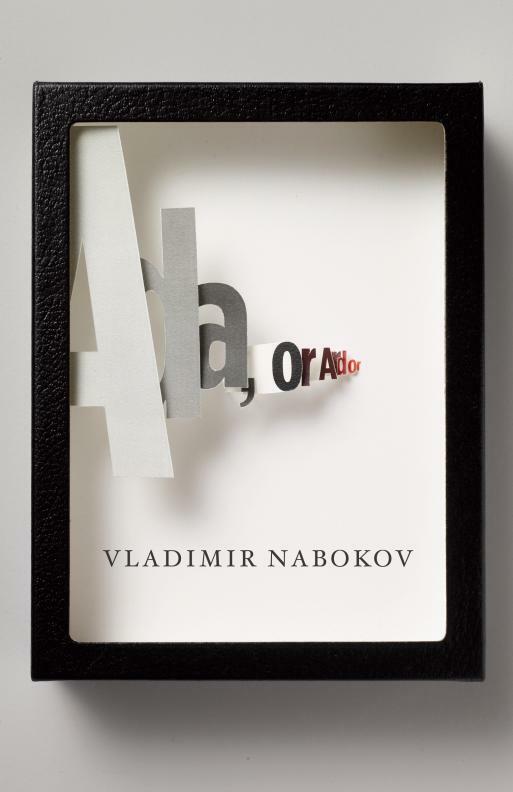 Here’s one: redesign Vladimir Nabokov’s book covers. All twenty-one of them. Let me rephrase. Every so often the most daunting project of your entire life arrives on your desk. 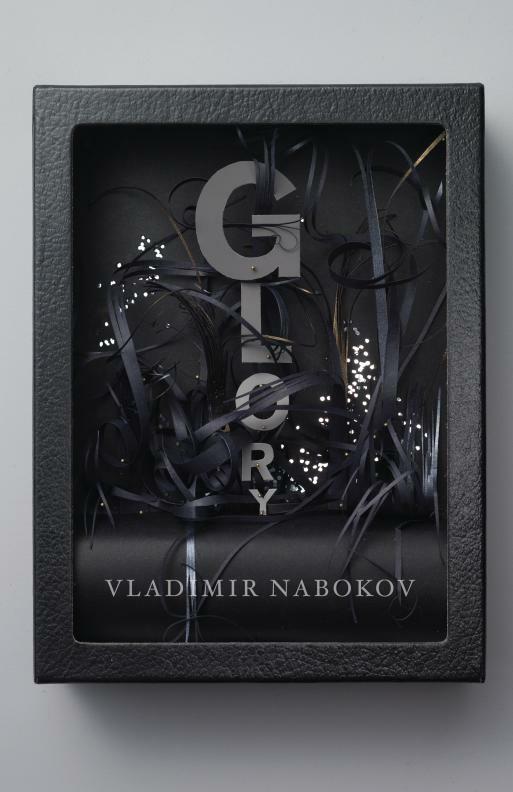 Nabokov was a passionate butterfly collector, a theme that has cropped up on some of his past covers. My idea was also a play on this concept. Each cover consists of a photograph of a specimen box, the kind used by collectors like Nabokov to display insects. Each box would be filled with paper, ephemera, and insect pins, selected to somehow evoke the book’s content. And to make it more interesting for readers — and less daunting for me — I thought it would be fun to ask a group of talented designers to help create the boxes. Please visit Design Observer for complete slide show. When Professor Daniel Everett set off for the tiny village of the Pirahã people, located deep in the heart of the Amazon, his goal was to convert the 350-person indigenous tribe to Christianity. Thirty years later, he emerged an expert, enthusiast and atheist.Part passionate memoir, part scientific exploration, DON’T SLEEP, THERE ARE SNAKES is Everett’s riveting account of his life-changing experiences and discoveries deep in the Amazon jungle. Everett spent seven of the last thirty years living alongside the Pirahã, captivated and inspired by their language and its cultural and linguistic implications. The Pirahã ethos is rooted in the present, and driven only by immediate goals and needs; this worldview is reflected in their unique language in several ways. See below a sampling of images and sounds from the Piraha’s. Listen to a A Pirahã Song. Please visit Professor Everett’s website for more information. His memoir DON’T SLEEP THERE ARE SNAKES is available wherever books are sold. Q: Tell me how you became interested in The Road and how the project came to you, and how that all began. JOHN: It began with a meeting with Nick Wechsler in L.A. I was meeting various producers and discussing what sort of material I was interested in and mentioned that I liked strong literary stuff and that one of my favorite authors was Cormac McCarthy and also mentioned that Blood Meridian was a big influence on The Proposition. Nick had registered that in his mind and cut to probably seven months later, he popped out of the blue – we didn’t really keep in touch – and he said, “I’ve got an unpublished manuscript of Cormac McCarthy’s new book. Would you be interested?” Of course I read it, and it just completely knocked me over. And it kind of had a bigger impact on me than even his other work. I just knew then that I had to do it. He knew that in some ways with The Proposition, in terms of it being creating a world of- where the landscape and the conditions are very harsh in this brutal sort of world and it was all location driven – it would appeal to me as well as the actual material. When I first read it, it had such a powerful, emotional impact, and I just couldn’t get it out of my head, and I knew it had to be done and that I had to make it somehow. And had you always thought of Viggo to play the man or how did that come about? Yeah. That was way back when – even writing the script – it was really tricky – there was a small group of about three actors that I was thinking about. And it became clear that Viggo had the qualities of someone that could be an everyman but also could have the intensity that that role demands and the kind of physicalness of the role as well. And just the versatility ‘cause it’s a range of emotions that that character goes through. I had in my mind people like Gregory Peck and actors just from another time that had this kind of strength to them and yet also a vulnerability. It’s very hard to find people that have a kind of a rawness, and Viggo’s very intense and very wound up, and that is what the father is all about ‘cause he’s so wound up and so haunted by the suicide of his loved one – his wife and partner – and yet the incredible ongoing relationship with his son and being so protective. 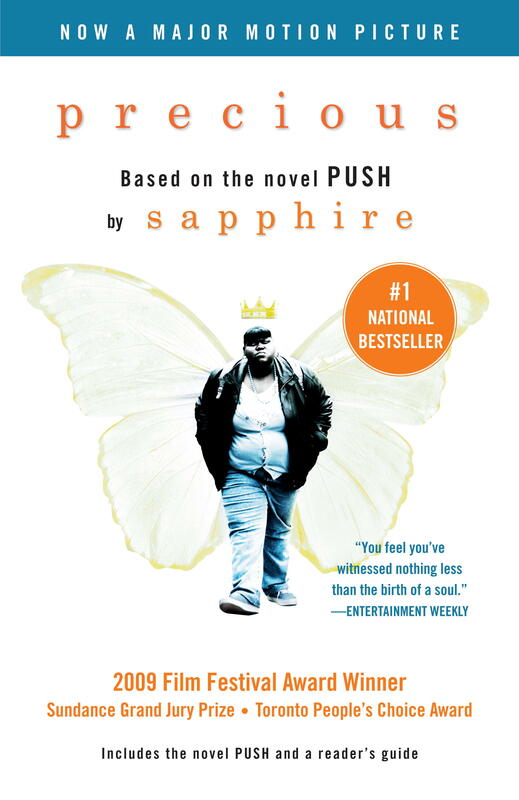 It is a love story, and it’s being sensitive and vulnerable and yet it’s such a challenging and extreme survival world that he has to do things that have to be credible – where certain actors it might be a stretch that they’re so tender and sensitive to a child and yet can physically do what he has to do. 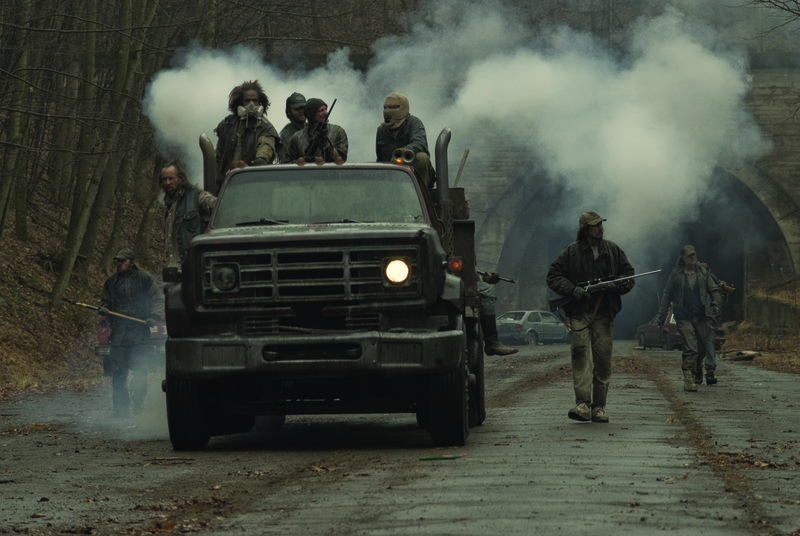 I think it was you who said if anyone could survive in a post-apocalyptic world it would probably be Viggo. Yes, and Guy Pearce, who’s the veteran. 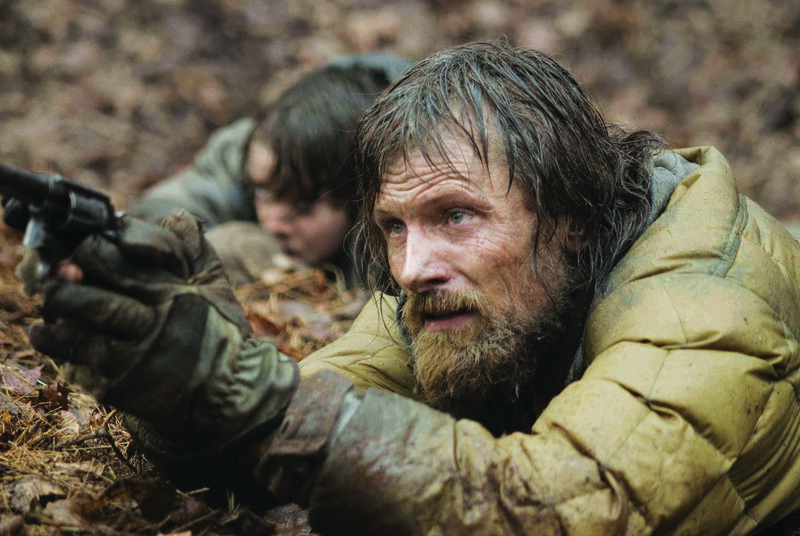 They’re the survivors and ‘cause the film’s all about survivor and there is something that Viggo has about him that is credible that he could survive extreme circumstances. And sure enough you’ve seen him dive into an absolutely treacherous, freezing ocean that no one is supposed to go near and endure all sorts of stuff. So, he’s clearly capable of that. You’ve also assembled an amazing cast in the supporting roles. Do you want to talk a little about the casting? Did you immediately think of Guy for the veteran? My problem was I couldn’t think of anyone but Guy as the veteran and we were just very fortunate (he was in the middle of another film) that we were able to get him. I’m really thrilled with the cast that we managed to get and the variety of different characters. I was very specific about what we were trying to find in the different characters but also to get the variety of say Michael K. Williams brought a great kind of more urban, street thing, whereas Dillahunt – Garrett Dillahunt – we deliberately got a more country, hick, backwater type going on cause we wanted to get that feeling that there are all these people wandering around this new world fighting for survival and get that mixture of personalities and Guy certainly – like Viggo – has some similar qualities in that you can imagine him surviving. And Molly Parker was just great for the ending – a very difficult role to pull off ‘cause she ends the film really with Kodi. Really for them the challenge was – in a fairly short time screen time – to give you a sense of where they’ve come from and the kind of emotional damage that they’ve all endured. Of course, Robert Duvall for the old man was extraordinary as well. He knows Cormac McCarthy, he’s so familiar with that world – that was really helpful – and he did something that was quite extraordinary under extreme pressure because our first day we were plagued by weather problems and the weather problem was simply a day like this where the sun’s out and the sun was our enemy. That’s been a running joke throughout the whole film that when it’s actually beautiful weather that most people love we all get depressed, and when it’s miserable we all get excited and run out into it. That happened with Robert, we had this bright, sunny day that just was just a disaster for the landscape we were in where there’s a huge coal ash pile of remnants of mining debris and scarred kind of landscape. We ended up really being pressurized for time, but he, within a couple of takes – we talked about trying something where he would bring an extra bit of history to the character in terms of that pain and damage because this guy’s old – everyone’s wondering how the hell did he survive and where did he come from, and he’s very enigmatic sort of character. Really reminded me of a sort of Samuel Beckett type character. And he came up with the most extraordinary sort of bit of improvisation in the middle of the scene that was just heartbreaking and helped shape the scene in a very quick time. That was great. It was hard to work under those sort of conditions and when you have actors with that kind of wealth of experience, you kind of wish you had more time to do stuff. But he rose to challenge and beyond. I deliberately didn’t really have conversations with him until Joe and I were happy with the script, and Nick. And those conversations came after. We wanted to feel comfortable and crack it ourselves and then see what comes out of- and he is just an amazing man and very sharp and understands that they’re totally different mediums, so he has no problem with the fact- I’d mention some things that we did change and he was saying, “It’s your film. You know, it’s film. It’s something else,” and “Don’t worry about it,” and he ended up being very happy with what we were doing and our approach and very interested in what we were doing. But at the same time he was never over anything saying, “Oh, don’t know about that,” so I think he just sees it very much as separate mediums, which they are. Did you speak to him during the shoot? I spoke to him in pre-production and during the shoot, updating him, and I kept trying to get certain things out of – there were certain things that he wouldn’t really reveal because he thought they’re best to be left interpreted how you want to interpret them. Some things he got specific about and then a lot of other things that were left very open in the book – open to interpretation, he wanted left that way because he didn’t want to lead us in that sense. We were very fortunate that he came up for a while with his son, just seeing them together it all kind of made sense. And his son was calling him “Papa” just like in the book and, as he said, his son John wrote half the book, as in they share- that’s where half of it comes from. It was really great to see that. Was that the first time you’ve met him? Yes. But I just kind of knew from the first long conversation that we had back in pre-production that he was very smart and actually quite open, very polite and respectful, and a gentleman – a Southern gentleman. What was his reaction when you saw him – to the film and to what he was seeing? He seemed to love what he was seeing. I think he got quite emotional when we showed him some of the meatier emotional scenes between Kodi (the boy) and Viggo, when the father dies. That material. He seemed very pleased, very moved, and that was lovely. I think he was very pleased that we went the location – like finding dramatic, interesting, extreme locations as opposed to just a kind of CGI film. Do you want to talk a little bit about the casting of Charlize for the role of the woman? Well that was the other thing about the woman in the book- we wanted to really try and enrich that character and present her argument for making that choice as very sound because in the book it’s very abrasive and harsh. And it is, and we still will do that, but what is great about Charlize is we wanted to try to find someone that had a real kind of gravitas, emotional kind of depth to again showing that transition of life from the world that we’re all, well some of us, the privileged few in fact are accustomed to and take for granted, and then having that all stripped away and the emotional damage and her refusal to accept the new world is a huge emotional shift. She’s someone that has already shown incredible range, and her transformation in Monster was pretty astounding. She seems to be one of those actresses that really is able to transform and go to real emotional depths. We’re yet to work together. That happens tomorrow morning in fact, but I’m very confident that she has those abilities. And do you just want to talk a bit about Michael, the thief? Oh yes, Michael K. Williams- ‘cause I love The Wire. That’s one of my favorite TV shows. He was great in that, and again, it was great, like with Robert Duvall, to have him do something in a very different context and this world that they’re in and these characters that they’re playing and the situation is so extreme that he’s in and he was so fearless about it – what he has to do in that scene. And just very truthful in what he does, and I think he’s one of those actors that just gonna keep surprising people. And that scene was incredible – what he did. He really thought carefully about the voice, the whole, again he’s very detailed and fearless and that was just great, and he really trusted me which was really great too- for him to go into a role like that, that is literally and metaphorically totally, again, goes from having something and losing absolutely everything in a very short time. To see that all play out was just great, and he was just great to work with. And just finally- just again, what was the main part of the story of The Road that really drew you in or wanted you to make this film? Firstly, it was the power of the center of the story, of the father and son, and the emotional impact that that made on me and seems to have on many people, and then also that world being so immediate and refreshing. What I love about Cormac McCarthy is the sort of depths of humanity he’s so unflinching in exploring and not shying away from, just how scary we really are and how we’re our own and the entire planet’s worst enemy and always have been and always will be. And yet – what is extraordinary about the book that isn’t in the other books is that incredible emotional richness and tenderness. And the world, the challenge of trying to- what I loved about the book as well was there was no discussion or build up of actually what happened. You don’t even know what happened, and I just loved that about the book. There was so much that was left unsaid in the way it should be left unsaid because if a disaster of that scale, whether it’s nuclear or a comet or whichever way it goes, any disaster on that scale would immediately from that day on it would be irrelevant about exactly what happened and what caused it. You’re purely from that day on fighting to cope with the radical change, and the way he kept that on a knife I thought was original and quite haunting and disturbing ‘cause it felt real and it felt particularly relevant and particularly real for these times.